My very first Lucie Miller story is April 2016’s Short Trip, a half-hour story narrated by Sheridan Smith. The plot is simple, but there’s a lot of heart in this audio thanks to a memorable guest character, Cecille. Sheridan Smith adds to the delight by switching effortlessly from Lucie’s brash northern patter to the refined, steely tones of an old lady who’s losing her sight but not her wits. Cecille remind a little of the wise woman played by Mary Morris in Kinda. Like her, Cecille animates and dominates the story with her force of personality. Luckily, Lucie’s quite a character herself. As an American, learning slang I haven’t heard before is part of the fun. Lucie has somehow fetched up as a carer in an elder care facility in the 1970s. The setting is incidental, but atmospheric, painting a bleak picture of hard times in the seventies that are rapidly dwindling into history just as much as World War II. The home’s residents span both worlds, remembering the old days, while Lucie represents the future. Their shared experiences comprise a sort of time travel in this story. The nexus of mysterious goings-on is something in Cecille’s own colourful past which casts a dark shadow on the present. Can she trust Lucie and the Doctor? Can they trust her? What is she hiding? And what exactly is happening to her when the lights go out? “You’re French! You’ll be fine!” snapped the Doctor. 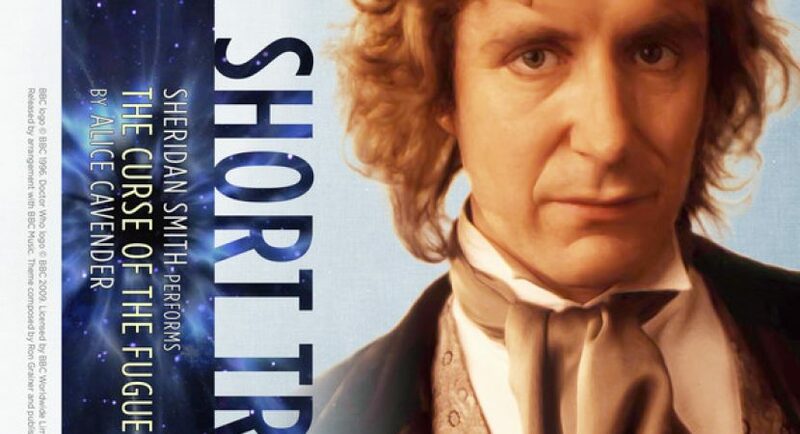 Lucie and the Doctor don’t have a lot of time to work together in this story, so it’s a little short on the Doctor-companion dynamic. That shortfall is made up for with Bechdel moments between Lucie and her client, and in a verbal cat-and-mouse game between Cecille and the Doctor. In the end, the story hinges around a mini human drama with pathos, emotion, tough choices and regrets. I quite enjoyed my first encounter with Lucie Miller, and I look forward to meeting her again. My one regret is that we’ll probably never meet Cecille again. She’s a superb character, and Sheridan Smith must’ve had a ball playing her.